Pocket filters PFC made of non-woven chemical fibres for the separation of coarse dust when used as a prefilter, and for the separation of fine dust when used as a prefilter or final filter in ventilation systems. Pocket filters made of non-woven chemical fibres are available in standard and special sizes; variable number of pockets and pocket depth; filter group ISO Coarse according to ISO 16890. 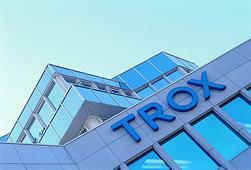 Pocket filters PFC are compliant with VDI 6022 in terms of hygiene. 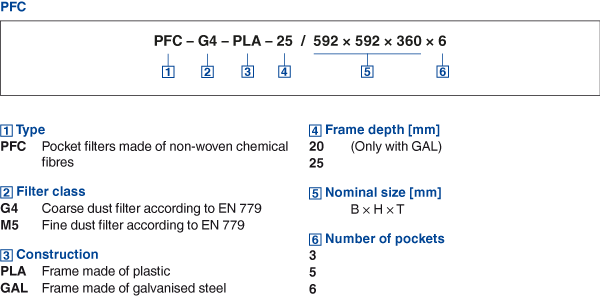 Pocket filters made of non-woven chemical fibres are available in standard and special sizes; variable number of pockets and pocket depth; filter classes G4, M5. 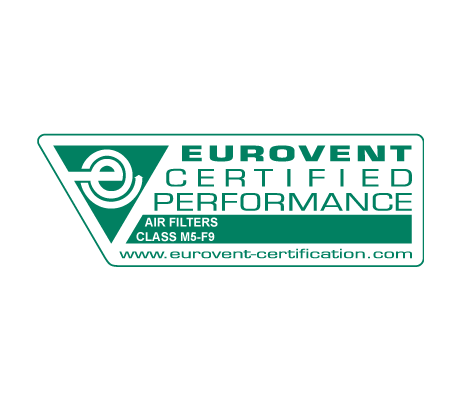 Pocket filters used as fine dust filters are certified by Eurovent.